Please call to check what's available at the time and to make sure someone is here to meet you. Silver Duckwing Yokohoma chicks and pol. We have in stock all of the hibrids mentioned at point of lay 18+ weeks. They are vaccinated and all available to view before you buy. All are good egg layers and are suitable for small back garden flocks. We are open Monday to Saturday 8.00a.m. to 5.30p.m. and Sundays 10.00 - 4.00p.m. Please phone before you come to see us to make sure we have the birds you want. We specialise in the hand-rearing of nearly 50 types of rare breed chickens, large fowl, bantams and hybrids, where the health and quality of our poultry is paramount. Our birds are well looked after and we also undergo a rigorous worming and vaccination regime for all our breeding and reared stock, ensuring that you collect birds in perfect health. 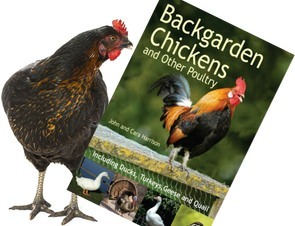 Along with chickens we sell all the necessities involved in keeping your chickens happy and healthy as well as running chicken keeping courses. I have been keeping chickens as a hobby for a while now and spent a lot of time incubating and hatching eggs. Recently I have decided to start expanding and create a business. Still currently working from home/garden with hopes to expand further in the future. Please call to check stock and to arrange an appointment, thanks. Saxon Farm is a small holding with a difference, not only do we farm sheep and pigs, but we also raise chickens for our own egg laying flock. We also sell pullets, feed, and hay/straw with delivery available. I am just a small breeder based in Northamptonshire, this is a hobby on a small scale.